We’re continuing with our month of Mexican fiesta DIYS today and thought it would be fun to provide you with a free printable! This isn’t any ol free printable though, oh no my friend, you can edit this one right from your computer and print it out with all your wedding details on! WAY easier than having to print them off and fill them in by hand am I right?! To get your free printable all you need to do is click the link below, then simply click on the areas you want to edit & download! I absolutely love these!! So pretty! 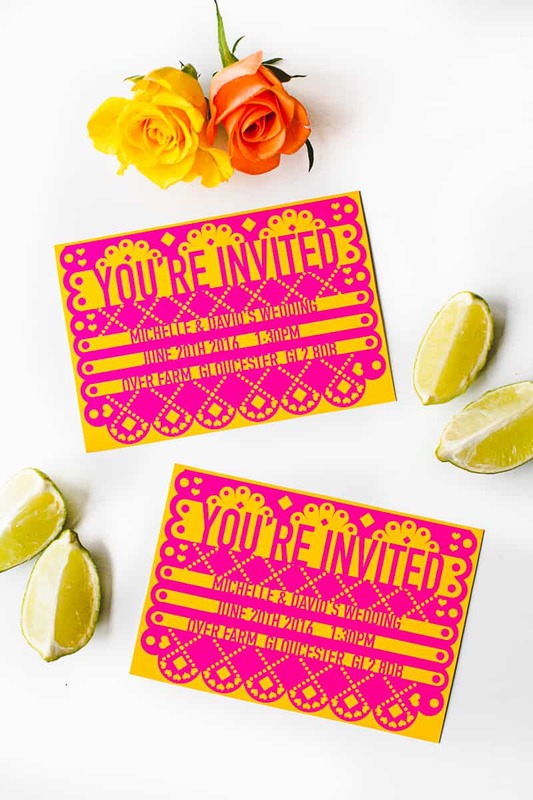 Could you tell me what font you used for this invite? I’d like to use it to coordinate other signage!